GREENE, Graham. 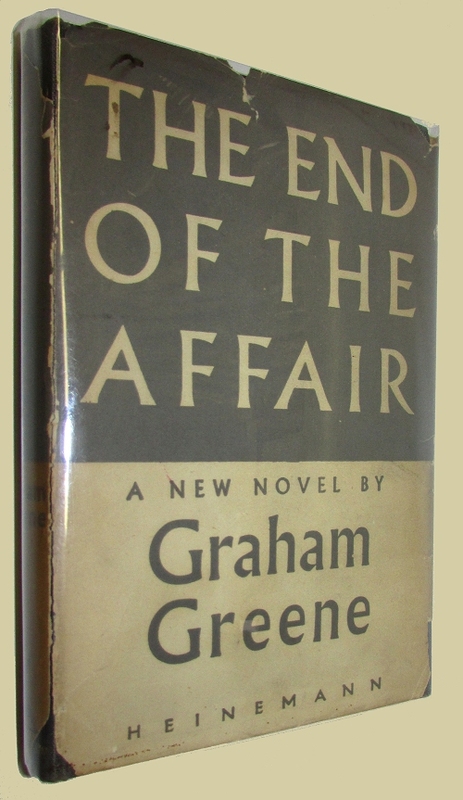 The End of the Affair. London: Heinemann, (1951). First edition. Offsetting to the half-title but otherwise about fine in a dustwrapper which has the upper panel detached, chipping to the ends and is good only.